John and Lilly Digby's next child was Herbert Henry Digby who was born 30th September 1912. 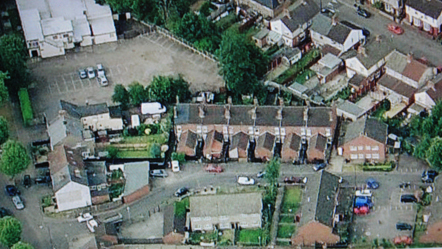 The family were still living at Alexandra Terrace Foleshill. 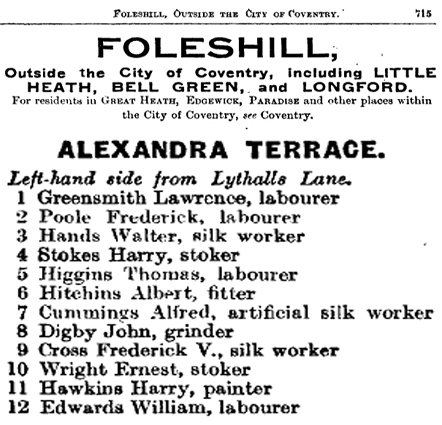 The directory listing (left) from Spennells 1912 Coventry Directory shows all the inhabitants of Alexandra Terrace at this time. John Digby is listed at number 8. 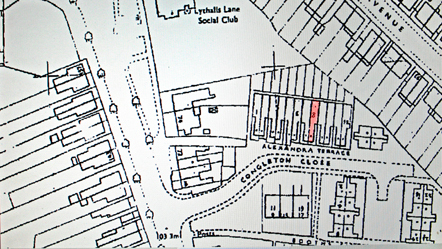 The two pictures below show an aerial view of Alexandra Terrace present day with a map of the same area. Number 8 is highlighted in red.